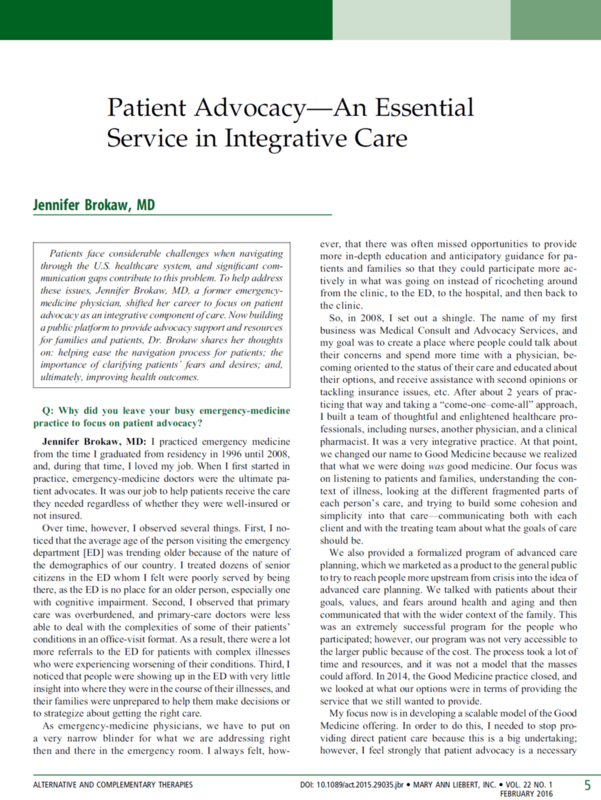 In this interview with Alternative and Complementary Therapies, I explain the role and value of patient advocates to integrative care.1 Patients face considerable challenges when navigating the US healthcare system where significant communication gaps can create formidable obstacles. Patient advocates ease the journey of patients and their families by closing this gap. They help patients and their love ones understand and communicate their fears and desires. Ultimately this helps bring about the best possible health outcomes. This interview is available to newsletter subscribers. As a newsletter subscriber you will gain access to additional information and resources like this article. If you are already a subscriber, you may need to provide your contact information again to access this article. Don’t worry, you will not be double-subscribed.